Health Support & Guidance sessions are available as private consultations or in group coaching sessions. Private 1:1 Sessions may be conducted in person or virtually via secure teleconference. The length of time and frequency of visits is determined by your goals, your plan of care and the amount of support you require during our journey together. Private health support is offered in 3, 6, 9 or 12 month plans and follow up sessions held in 60 minute increments. It is essential that I customize plans based on your needs, so it is best to schedule a free 30 minute consultation to learn what is best for you. I find the Intro Package is also a good place to start as we build a relationship and you find what suits you best. Your first appointment, the New Client Intake Consultation, costs $250. This may be paid independently or applied to the cost of any package. Packages are tailored to your needs and are paid in full. A deposit is required when booking your first appointment. Please contact me if you have any questions. Thank you, I look forward to working together. Ideal for: individuals who are uncertain of the amount of time they need or would prefer to test out Moving To Heal services before making a longer commitment. 2 private follow up sessions conducted virtually or in person (may meet weekly, biweekly or monthly based on individual needs). Sessions are generally 60 minutes in length. 60 minute sessions range from $125 – 200 based on frequency and commitment. After the first 3 sessions, clients may be eligible for a “Pay from the Heart” donation-based model. Please note, the cost of sessions include the amount of time I will work for you between sessions including doing research and creating a personalized plan of care that meets your needs and goals. Packages may include discounts off of select supplements and Nia classes. Costs of supplements are additional to coaching package fee, and will vary based on client health concerns. 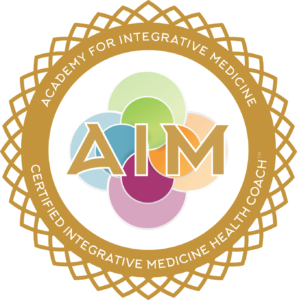 While I have found that there are basic changes people can make without testing based on the symptoms they are experiencing and intuitive guidance, I am able to offer basic functional medicine lab tests. Testing may include saliva testing for adrenal and hormone levels, stool testing for microbiome gut health, and food sensitivity testing. Clients are responsible for the cost of additional testing. Repeat lab testing may be recommended while working together, based on initial test results and degree of symptom improvement. If you have already completed functional medicine testing with another provider and need help with implementation of protocols, please provide them during your consultation.